TAMPA, Fla. (AP) - Police unions are criticizing Beyonce in the wake of her Super Bowl halftime act and new video, calling for a boycott because they think her work contains "anti-police" messages. Unions in Miami, Tampa and Nashville, Tennessee, are either calling for officers to boycott her music or urging them not volunteer to work at her shows. Javier Ortiz, president of the Miami union, said this week that "BeyoncÃ© used this year's Super Bowl to divide Americans by promoting the Black Panthers and her anti-police message shows how she does not support law enforcement." The Super Bowl halftime show - seen by an estimated 112 million people - drew praise from her fans and consternation from critics. It was a display of unapologetic blackness and political activism. Beyonce's dancers donned berets, sported Afros and wore all black, similar to the style of the Black Panther party that was founded 50 years ago in the Bay area - the location of the Super Bowl. At one point during their routine, the dancers formed an "X'' on the field, which some people took as a tribute to slain black activist Malcolm X.
Tampa Police Benevolent Association President Vincent Gericitano posted a statement on the group's website saying it was "disgusted" with the Super Bowl show and "equally disgusted" with her new music video. 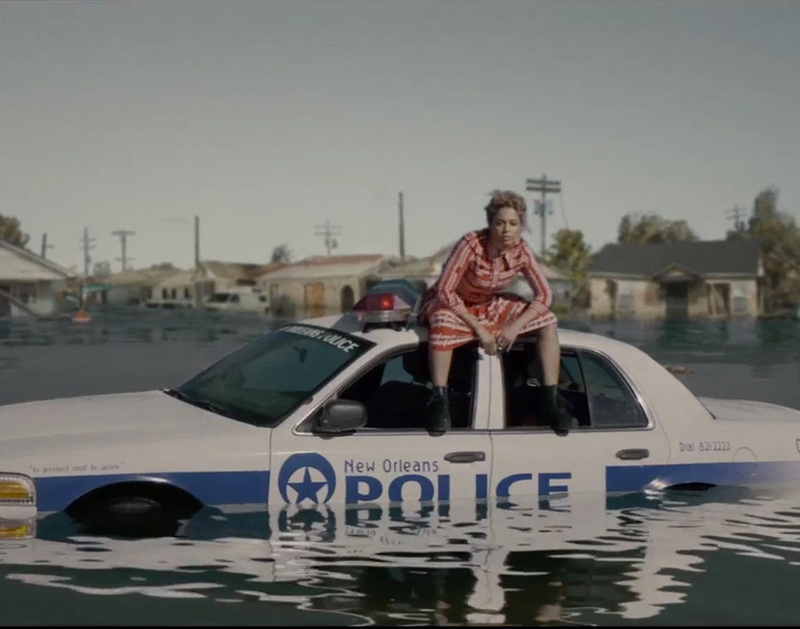 The video for "Formation" invokes the Hurricane Katrina tragedy in New Orleans and includes a shot of the singer lying atop a police cruiser overtaken by floodwater. It also references the Black Lives Matter movement with police standing in riot gear and the words "stop shooting us" spray-painted on a wall. The tour kicks off with a sold-out show in Miami on April 27. She plays Tampa two days later. Tampa Police spokeswoman Andrea Davis said there is no indication that officers are not taking the extra-duty, voluntary shifts to provide security for the concert. "This has been blown way out of proportion," she said. Tampa Police even tweeted a GIF of Beyonce on Thursday with the statement: "What?! @TampaPD officers have been in #formation for days signing up to keep the #Beehive safe! #Truth #Fact"
Miami Police spokesman Lt. Freddie Cruz said the extra-duty shifts for the concert will be "open for officers to sign up. Whether they sign up, it's up to them." In Nashville, that chapter of the Fraternal Order of Police asked members to not volunteer for Beyonce's concert there in May.